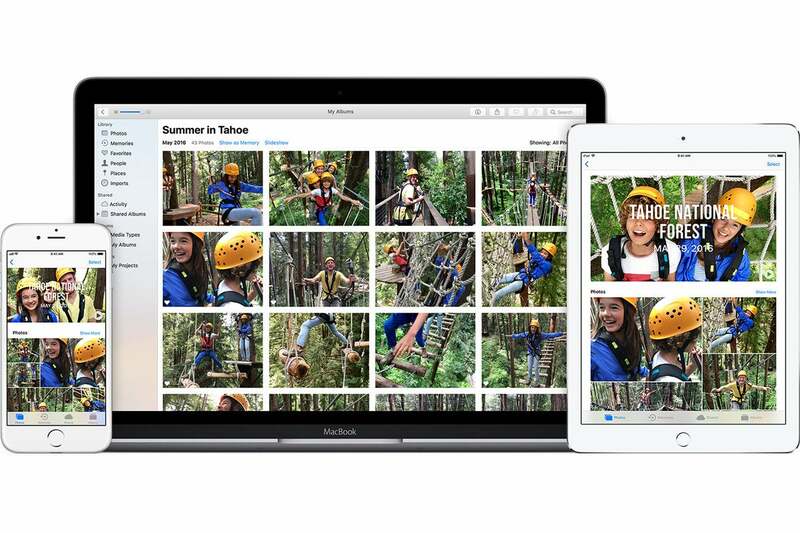 iCloud Photo Library lets you keep all your associated devices in sync all the time. By default, that means that when you take pictures or shoot videos on an iPhone or iPad with a cellular modem, iOS will upload that media to your iCloud account for syncing. Likewise, it will download new thumbnails or full-resolution images or movies, depending on your setting. How can you stop that syncing, Macworld reader Brian asks. He shoots a lot of photos that he trashes later, and doesn’t want to waste his cellular data plan syncing everything after it’s taken. 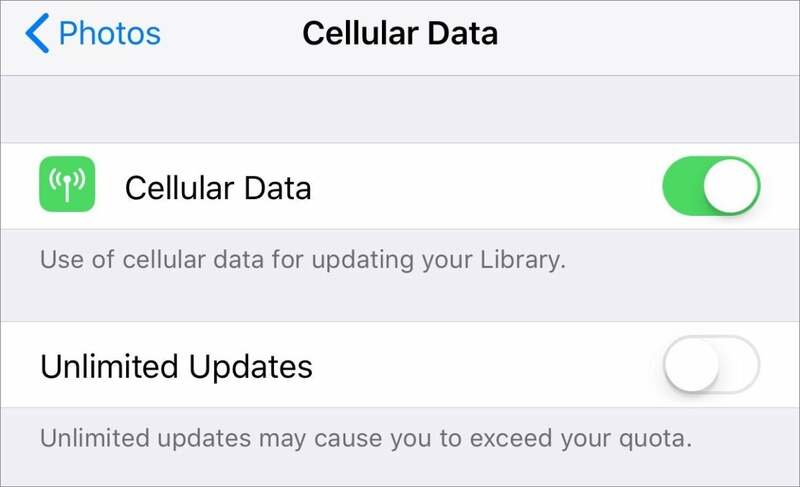 There’s a simple option: Settings > Photos > Cellular Data, and set Cellular Data to Off. This restricts all syncing to when you’re on Wi-Fi. You can disable syncing photos and videos over cellular data. However, you might notice, however, there’s a second switch beneath Cellular Data labeled Unlimited Updates. Apple doesn’t provide any direct documentation about it, but people on forums who have performed tests and reported on the results suggests with the switch turned off, iOS throttles uploads and batches photos. For instance, if you take several photos in a row with Unlimited Updates disabled, the first couple are immediately uploaded, but the remainder appear to be left in queue for later upload, either over cellular or Wi-Fi. Some suggest there’s a daily limit, like 150MB, but I can’t find confirmation or Apple documentation about it. Users found turning the switch on uploaded any captures they made immediately.